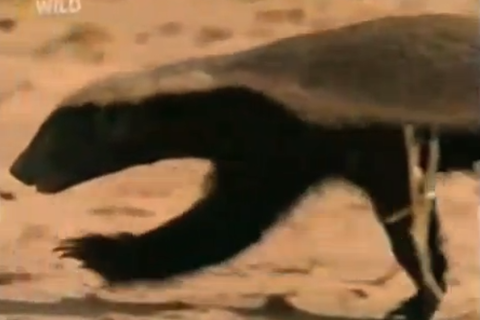 The Crazy Nastyass Honey Badger is pretty badass, as evidenced by 50 million YouTube views, a book, a commercial for nuts and a merchandise line exploding in popularity. During this panel, Tony Mennuto, Creative Director at Mister Face, will lead a discussion about what makes ideas viral and spread contagiously, exploring what’s funny and what’s not, what sticks and why things fizzle, and how improv can improve your chances of getting famous for doing something... well, ridiculous. Join Randall, the Honey Badger himself, and Tony to discuss the success of one of the internet's most infamous videos. Tony Mennuto is the creative face behind Mister Face. As an award-winning advertising creative, he’s worked on thousands of commercials and marketing solutions for brands like Coke, P&G, CBS Radio, Chase Bank, Comedy Central and FOX TV. As a television writer and producer, Tony worked with major networks like HBO, NBC, ESPN, VH1 and CBS. As a comedian, Tony has performed in N.Y. and L.A. with Gotham City Improv, in Stella!, and at the Toyota Comedy festival. He’s also appeared on Spin City and Late Night with Conan O’Brien. Born and raised in New York City, Randall started narrating at an early age. Randall’s father was a cameraman for Marlon Perkins’ “Mutual of Omaha’s Wild Kingdom”. This is where he developed his deep love for animals. Randall is a two-time dropout of both St. Olaf’s College in Northfield, Minnesota; and the Exotic Animal Training and Management Program at Moorpark College in Moorpark, California. His videos have raised awareness to the animal kingdom and those species, threatened or endangered. Randall currently resides in Los Angeles and lives with four loving cats, some birds and a guinea pig. A lover of all animals and humanity, Randall is on a mission to remind people: "...we are not alone on this Earth."